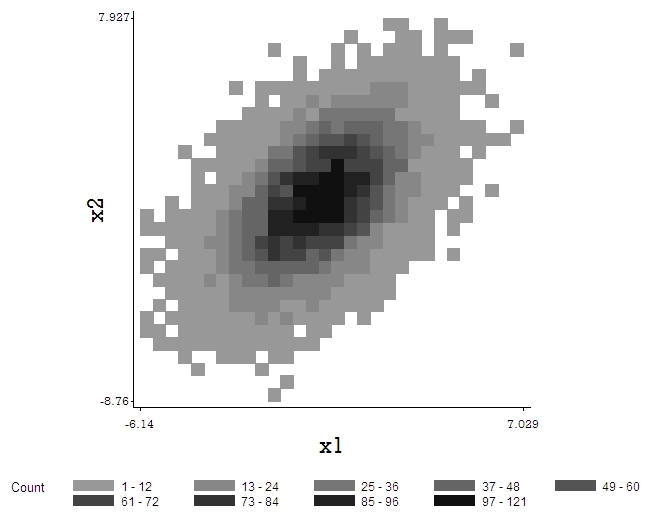 There are several ways to plot histograms in Sage, none obvious. Time Series in Sage have them - see here for an example. Matplotlib can do them directly as well, you just have to know how to do their plots in Sage. The Sage beginners guide by Craig Finch (not part of the development team) has some very nice examples. I think there are even more ways but I don't have them "on me" right now. Naturally, the correct answer is for me or someone else to get off my duff and finish getting Trac 9671 into Sage. If you are only talking about the notebook, you don't have to clean them up. (I don't think?) They are inside of the directory of the cell you create them in (you can see this via a tedious waltz through the tree of files in the notebook directory). I don't think they should save to your home directory or anything like that. You should then use the options of matrix_plot to change the colors as you want. Binning should be possible with any proper histogram interface, I think.